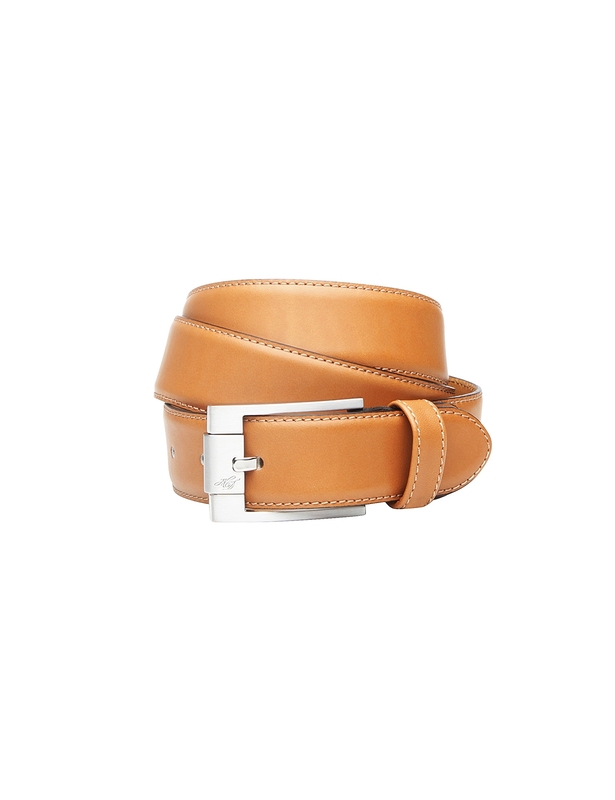 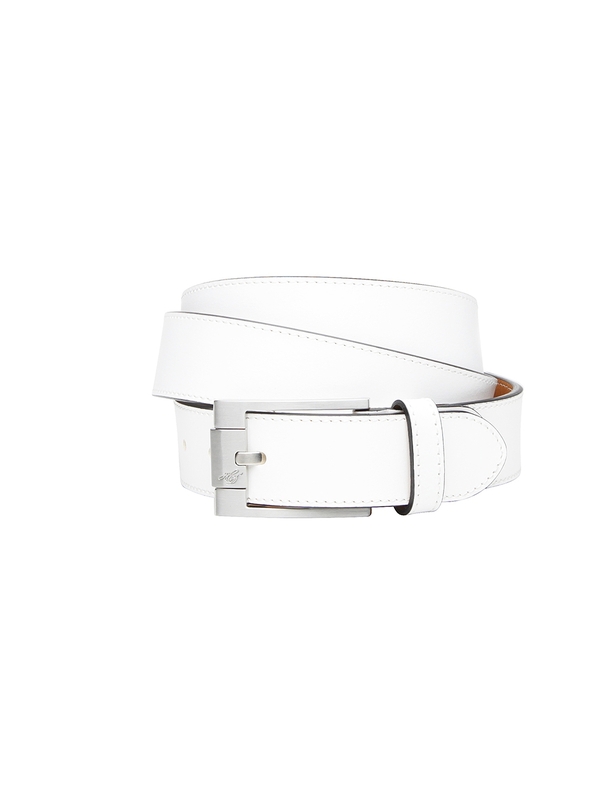 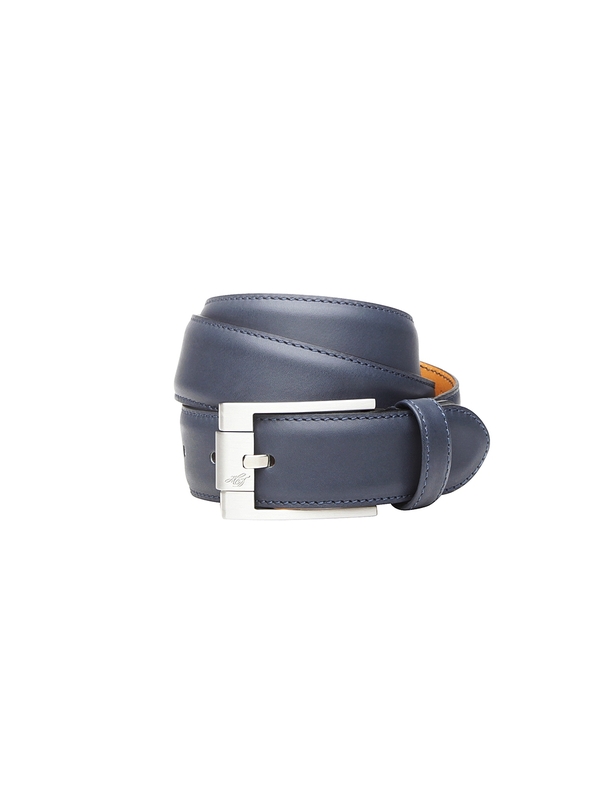 This classic men's belt made from the finest antique calf leather is meticulously handcrafted in accordance with Italian tradition. 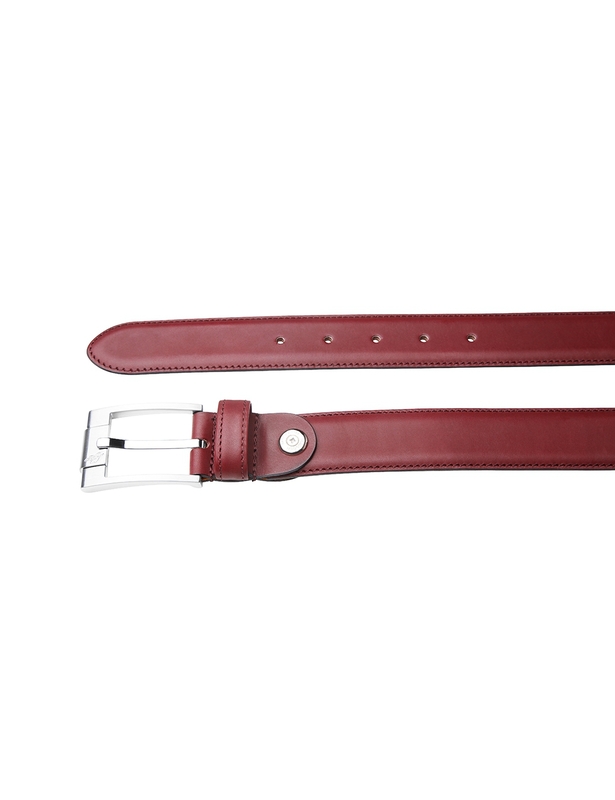 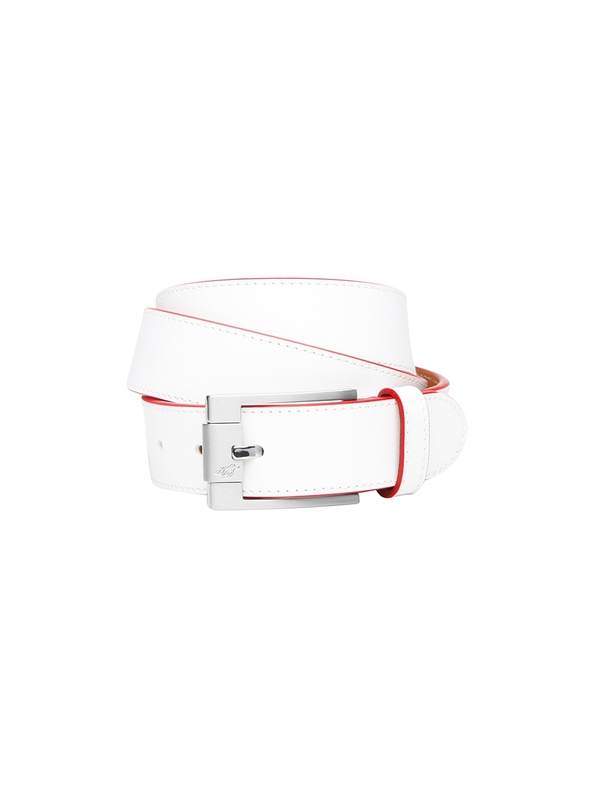 The quality of this exquisite accessory is primarily determined by the supple, smooth leather of the calf, while the premium cowhide leather used on the inner layer provides the belt with extra stability. 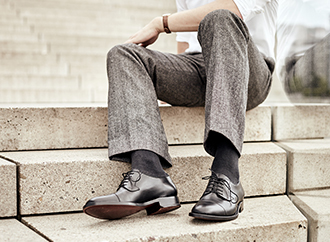 The material and color are perfectly matched to complement the upper leather of the Dinkelacker antique-calf shoe. 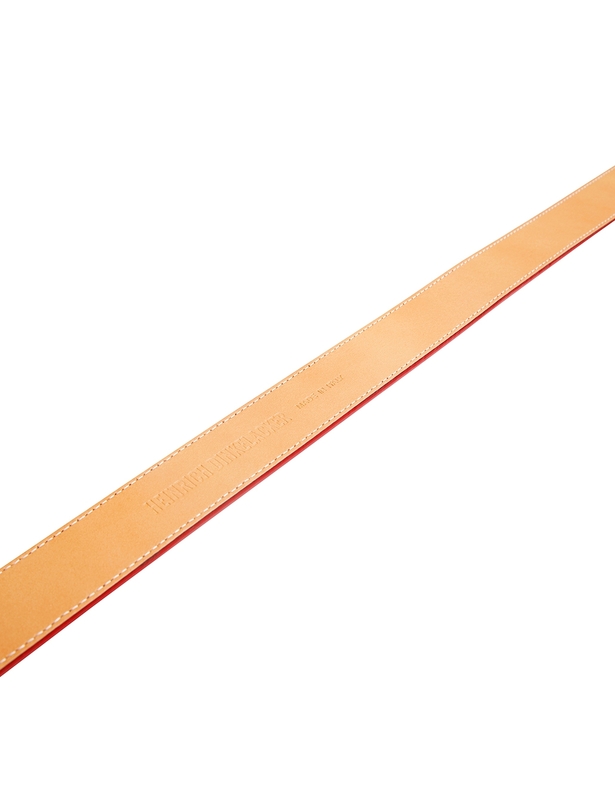 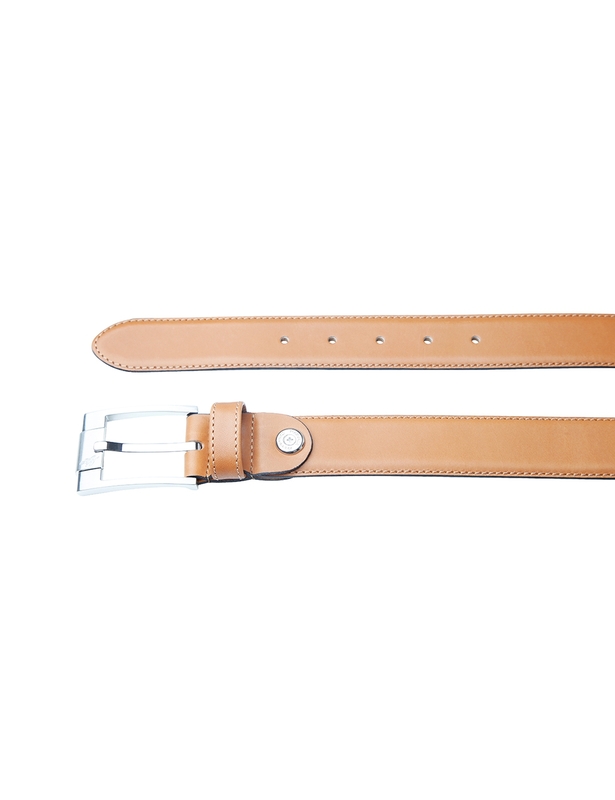 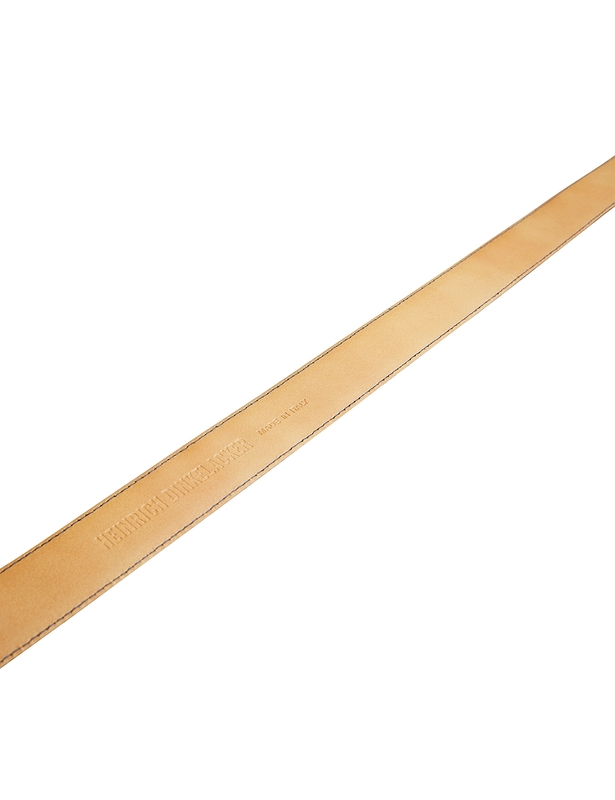 Crafted from two stitched leather layers, with a width of 35 mm, this men's full-leather belt is also distinguished by its elegant design. 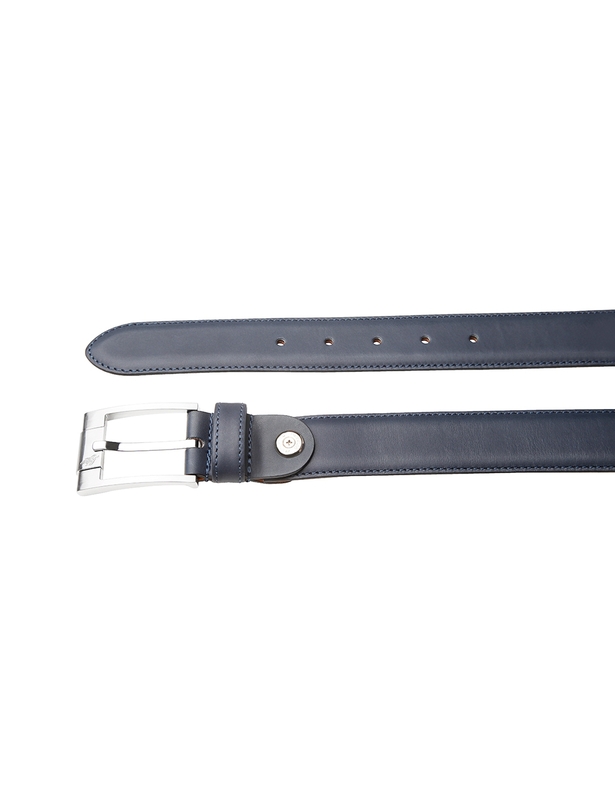 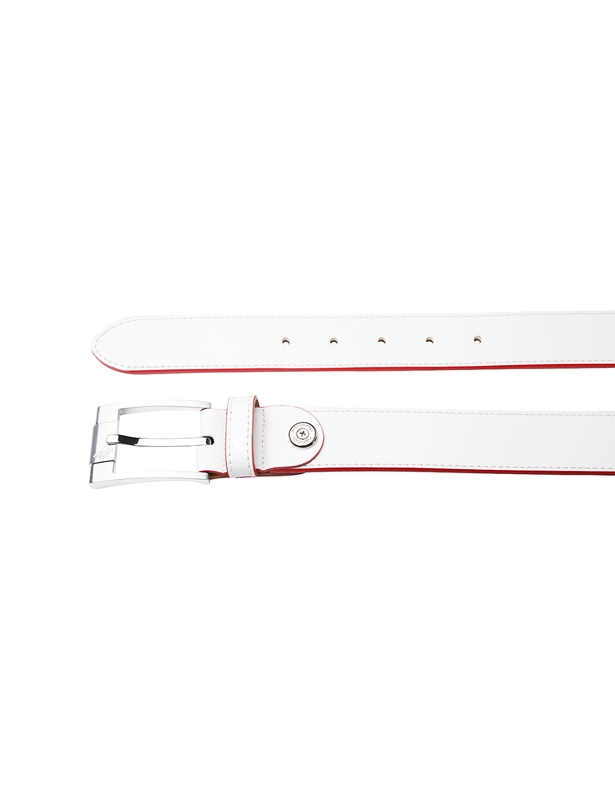 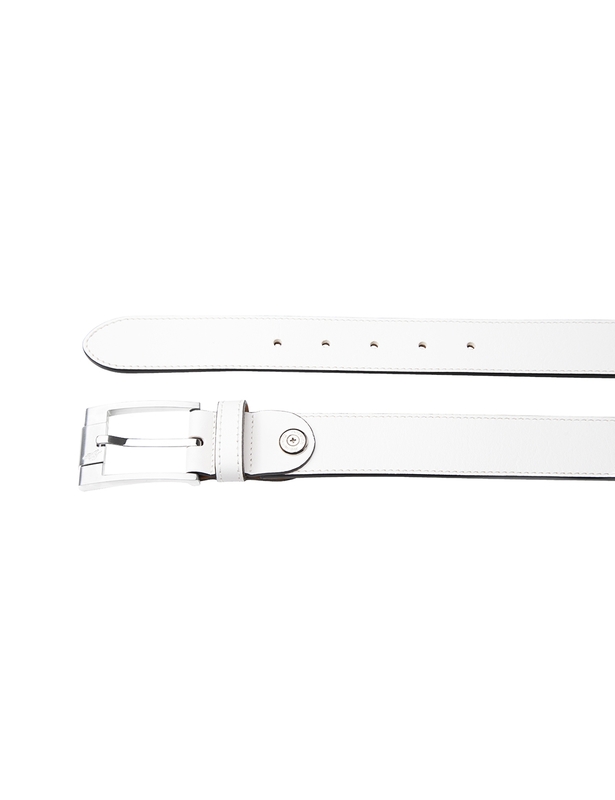 The silver buckle crafted from a refined zinc alloy not only rounds off the belt's elegant appearance, but is also suitable for nickel-allergy sufferers. 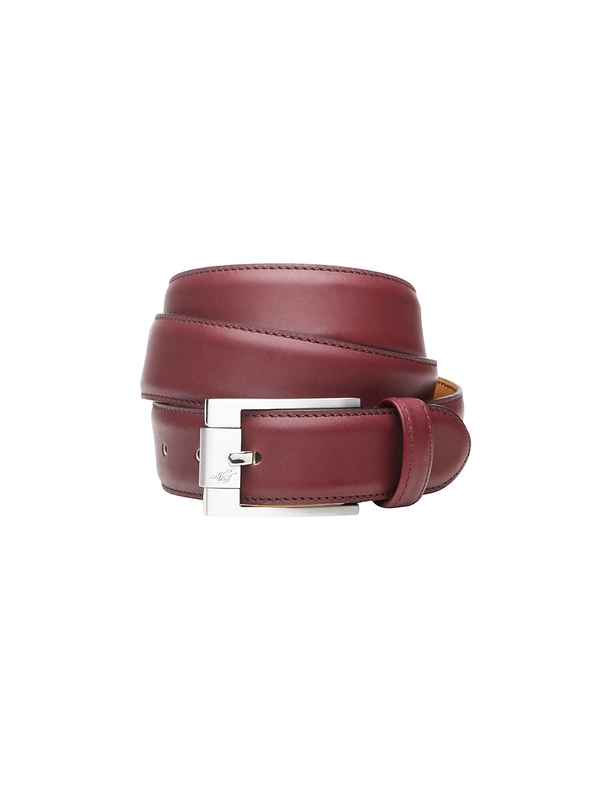 The intricate engraving on the buckle reveals the craftsmanship as belonging to the house of Heinrich Dinkelacker.